Young Han Solo (Alden Ehrenreich) finds adventure when he joins a gang of galactic smugglers, who are planning to just stay alive and survive in this hell-whole of a galaxy. Indebted to the gangster Dryden Vos (Paul Bettany), the crew devises a daring plan to travel to the mining planet Kessel to steal a batch of valuable coaxium, which is highly dangerous and tough to get, making this mission something of a suicide mission. But to make matters a little bit worse for this mission is that Dryden is sending his worker/lover Kira (Emilia Clarke), who also happens to be Han’s long lost love from many years ago. Along the way, the group meets a crazy bunch of characters, like a 196-year-old wookie named Chewbacca; a droid named L3 (Phoebe Waller-Bridge), who’s much smarter than lets on; and last, but certainly not least, Lando Calrissian (Donald Glover), the suave, yet sinister owner of the most extravagant vessel in all the land: the Millennium Falcon. Going into Solo, it’s hard not to have a bit of a chip on your shoulder because of everything that happened with Phil Miller and Christopher Lord. To say that they were “royally screwed” out of their job, probably isn’t correct, but it’s still weird that given their track-record so far and their willingness to push the envelope in compelling, interesting, and yet, entertaining ways, that they would be replaced by one Ron Howard. Is Ron Howard a bad film-maker? Not really – he’s sort of a journeyman who makes fine films and gets away with being serviceable (which is weird considering he won the Best Director Oscar, but the less said about that, probably the better). But compared to Miller and Lord? Yeah, he’s a bit of a boring choice. Still, Solo gets by on its inherent charm that’s already within the Star Wars franchise and Howard, as much as he’s in a bit of a shadow, still gets by with making this an enjoyable and relatively lovely diversion from what we’re used to getting. The stakes here are, believe it or not, exceptionally small, and if anything, don’t really change the game; we have a mission, we get our band of misfits, and we get our end game. In a way, Solo is a lot like a heist movie, set in outer-space, with a bunch of characters you sort of know and others you definitely don’t, but it’s still fine because Solo never means to be inoffensive or commit injustices to its characters. To bang Paul Bettany or Alden Ehrenreich? So conflicted. No seriously. Which considering the ridiculous fan-base for Star Wars, is probably a good thing. And even though we get to check up on old characters like Han, or Chewie, or Lando, we also get a slew of others that are just as interesting, if not more. Issue is that we don’t really get to know a whole lot about them to the point of where it matters if they’re around or not; Thandie Newton’s character is around for a total of 15-minutes and it’s distracting. The only one who possibly benefits from having such a limited amount of screen-time is Paul Bettany, playing just the right amount of evil and danger in a rather routine villainous character that could have easily been boring and lame. But he’s not and it’s why I wanted more of him. The real saving-grace is perhaps Ehrenreich himself who, despite what the trades have been saying, is perfectly fine for this role as a younger, much more immature Han. He’s not doing a Harrison Ford impersonation, first and foremost, and he’s also a lot goofier than you’d expect him to be. Still, there’s a coolness and swagger to him that reminds you of Ford and almost makes you miss the older character a bit. But hey, if we’re going to get a few more movies with this guy, then we could have done worse. 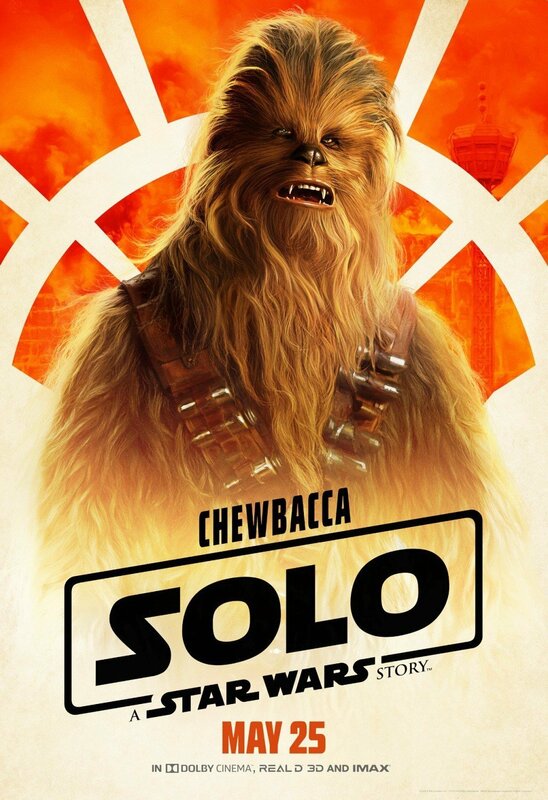 Consensus: Entertaining, but never demanding, Solo is a charming and fine diversion from what else the franchise has to offer, even if it’s also something of a disappointment considering what could have been. Phil Miller and Chris Lord? Never heard of those guys lol! In all seriousness, sounds like a good, breezy time in the SW universe. Nice review Dan. Nice review Dan. I concur with all of it, and thought Ehrenreich did well considering Ford is such a hard act to follow or emulate.